Derrick Chisholm loves to play and dance and sing. His favorite book series is “Thomas the Train.” Sounds like a typical little boy. But you can also see him on Sunday directing the choir at church alongside his Uncle Dee and shouting to the choir to ‘breathe’ between phrases. He plays the keyboard, drums, guitar, saxophone and harmonica. And Derrick does all this without seeing the people he’s directing or the instruments he’s playing. Derrick Chisholm is blind. 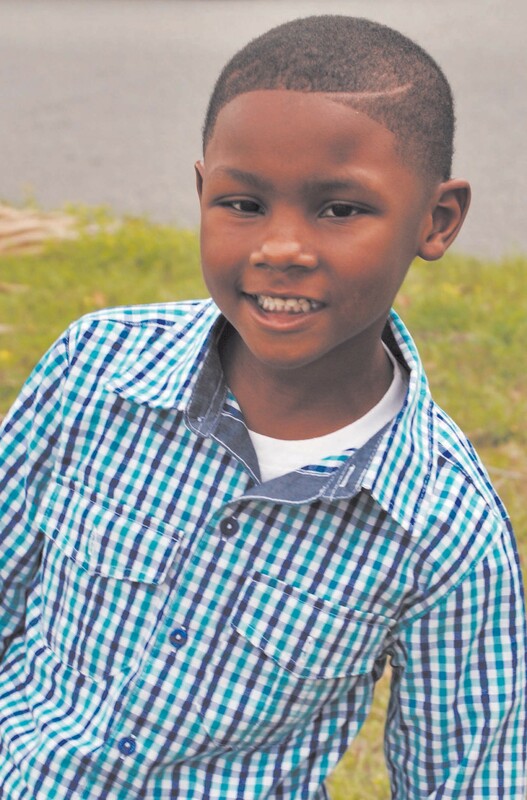 In March 2013, Derrick’s mom, Utesa Chisholm, began to notice her son was having trouble with his vision. “He would drop something on the ground and would have to feel around to pick it up. Or, he would bump into a doorpost while walking through an entrance,” recalled Utesa. The earliest appointment with the only pediatric ophthalmologist in Savannah was six months later. Utesa figured her son needed glasses. When the doctor ordered an MRI and CT scan, she began to worry. “After the testing, the nurse called me over to the phone to speak with the doctor, and I was told that Derrick had a large brain tumor. I dropped the phone, “ said Utesa. A biopsy revealed Derrick glioma, a benign brain tumor that rested on his optic nerve. Doctors said the best and safest course of treatment was chemotherapy. And so, with family, friends and a whole church praying, Derrick’s treatment began. The chemotherapy made him sick, but Utesa said her son’s spirit never wavered. “His tenacity, strength and courage held firm even with the complete loss of his eyesight on October 30th, 2013,” said Utesa. “During treatment days, he would mostly sleep but would always laugh and play with the nurses, sing the alphabet song and do his favorite dance moves. The nurses fell in love with his infectious personality.” Derrick received his last round of chemotherapy in January 2015. The tumor shrunk initially, but it is still present. Doctors stopped treatment since the tumor wasn’t getting any smaller. Derrick will continue to be monitored with MRIs every three months. His sight has not returned. If the tumor appears to start growing again, Derrick will have to undergo surgery or radiation. Understandably, Utesa is frightened. But she says her so-called “pity parties” come to a quick end when she looks at her son. “If Derrick is upbeat and happy and he’s the one going through this physically, there’s no way I can be sad,” Utesa said. “He just says ‘God is good and God is going to heal me!’” In the meantime, the Chisholms will keep hoping and praying that Derrick will see again. “We believe others will look at him as a walking, talking and dancing miracle,” said Utesa.